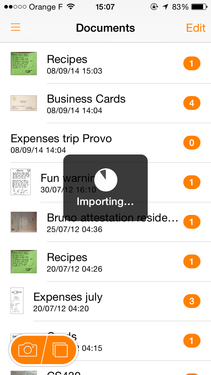 Locate the document in the other application. 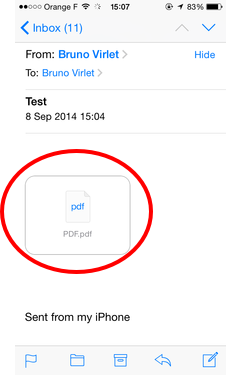 For instance, you can open an attachment from the Mail app. 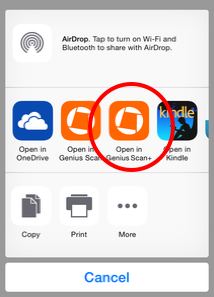 Select the option to open the document with Genius Scan. Genius Scan will display a loading screen. Depending on how large the document is, this can be instantaneously or take a few seconds. Genius Scan will import the file as a new document. 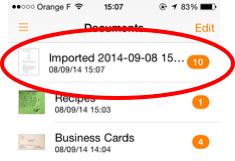 If you had select a JPEG image, Genius Scan will enable you to scan it before importing it.